Now in its forty-first year, the Annual Juried UW Student Exhibition is open to any student enrolled at UW in this academic year. It is also open to any in-state student enrolled through the Outreach School. A juror from outside the state is invited each year to select the exhibition. This year’s juror is Dan Mills, director of Bates College Museum of Art. Mills is also a practicing artist. In addition to selecting artwork for the exhibition, Mills will make award selections, and provide a juror’s statement. 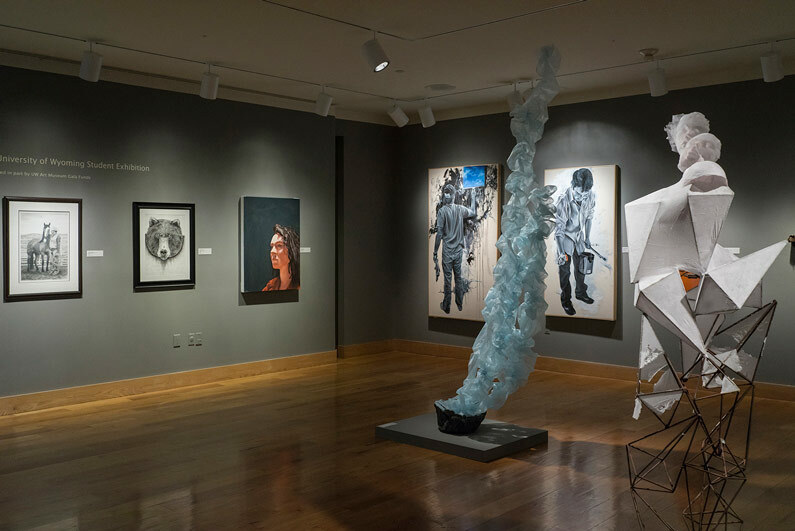 The exhibition is a highlight of the Art Museum’s annual exhibition programming, and is an opportunity for UW offices and departments to purchase student artwork, adding original art to their buildings and offices. The UW Student Art League presents a related Salon des Refuses in conjunction with the exhibition. Awards for purchase and accomplishment are announced during the opening reception.